Commercial Director of Rozvytok LLC Oleh Bobovnikov took part in the conference iCU 2016 – Amsterdam, which took place 3 and 4 November in The Hilton Amsterdam Hotel. iCU 2016 offers an outstanding F2F networking marketplace and provides a neutral platform for service providers in the international carrier-to-carrier market. iCU 2016 also covers all corners of the Telecom Wholesale Telecommunication ecosystem. We invite the Industry decision makers to meet, peer and partner with other Industry leaders to grow, innovate and succeed. More information here. 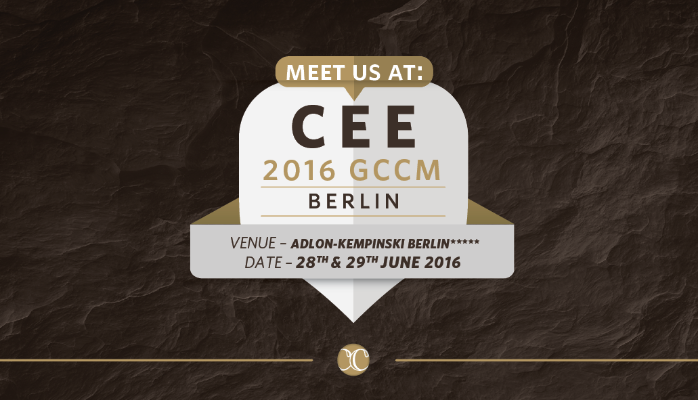 Commercial Director of Rozvytok LLC Oleh Bobovnikov took part in the annual CEE 2016 GCCM – Berlin, which took place 28 and 29 June in The Adlon Kempinski Hotel. More information here. 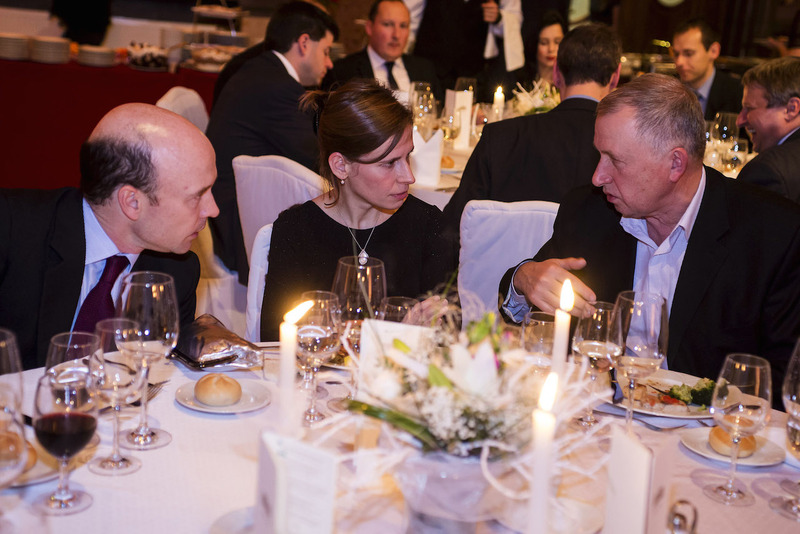 Commercial Director Oleh Bobovnikov took part in the yearly Partner Event of Wholesale Directorate of Magyar Telekom. 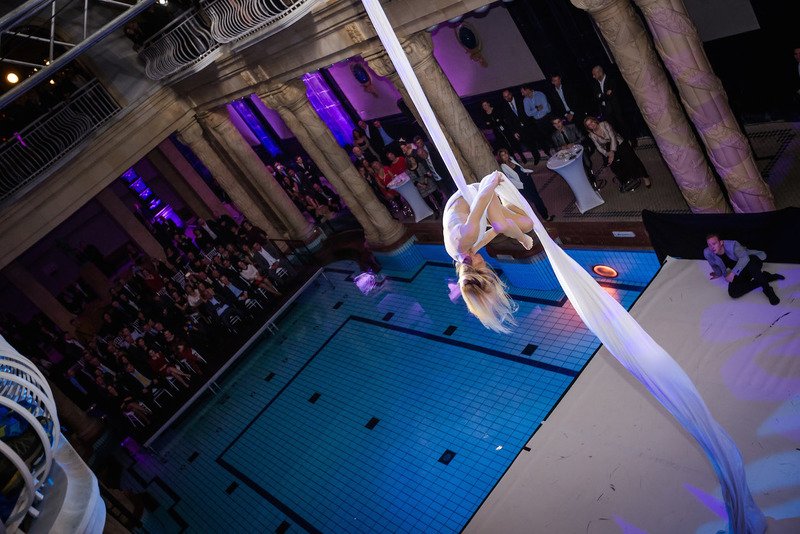 The event took place in the Gellért Thermal Bath and Hotel, known world-wide and highly favoured by foreigners, built in a secession style, opened its gates in 1918 and since then hundreds of visitors enjoy full spa services every day in the swimming complex. Commercial Director of Rozvytok LLC Oleh Bobovnikov took part in the international conference Capacity Europe 2015 which took place in Paris. Capacity Europe has taken the wholesale industry by storm and has become the largest gathering for the telecommunications industry to reaffirm and establish new business partnerships within wholesale voice, data, enterprise and mobile divisions. 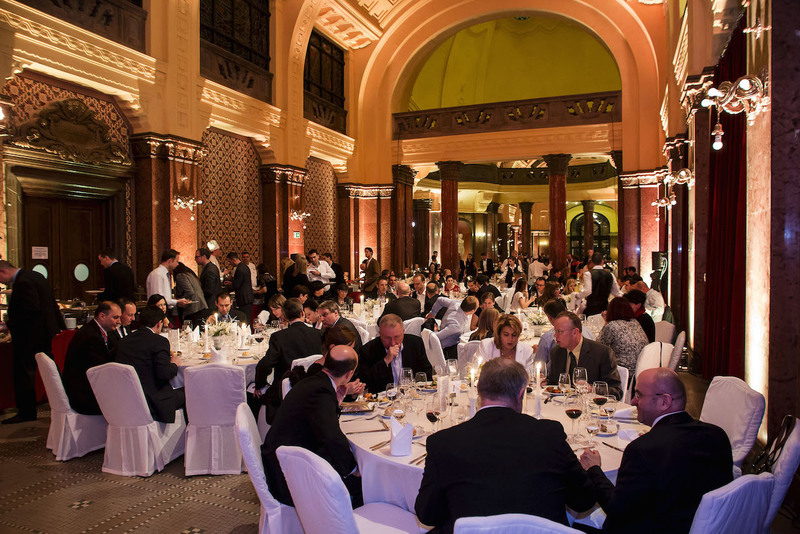 Commercial Director of Rozvytok LLC Oleh Bobovnikov took part in the 2nd conference Annual Berlin 2015 GCCM, which took place 29 and 30 June in The Adlon Kempinski Hotel. 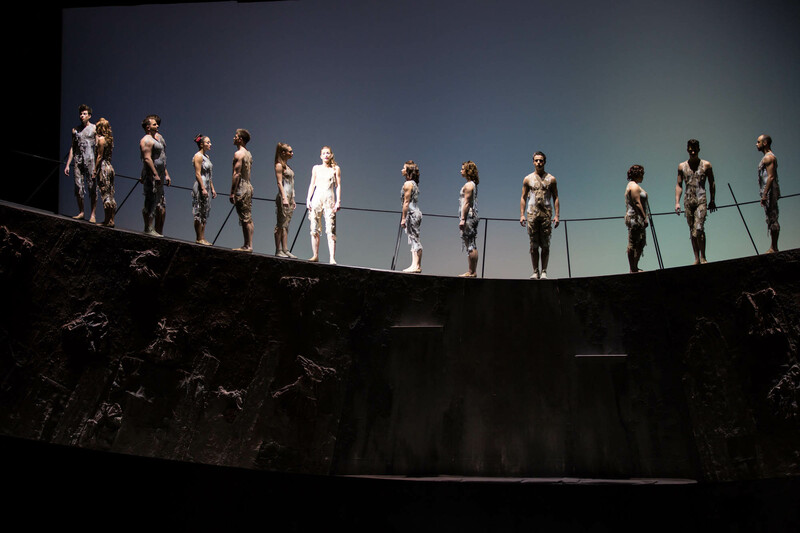 More information by reference http://carriercommunityevents.com/index.php/home-berlin-2015-gccm. 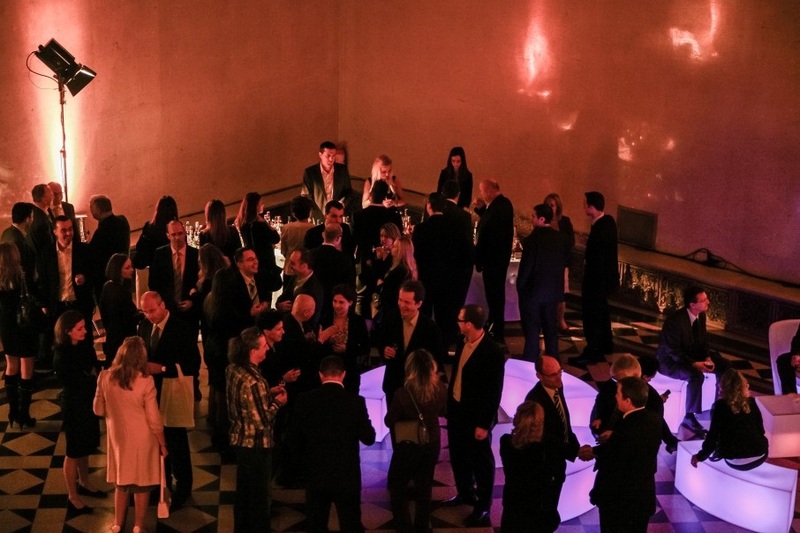 The event moved to a new location this year, Warsaw, capturing more attendance from the dynamic Polish market. 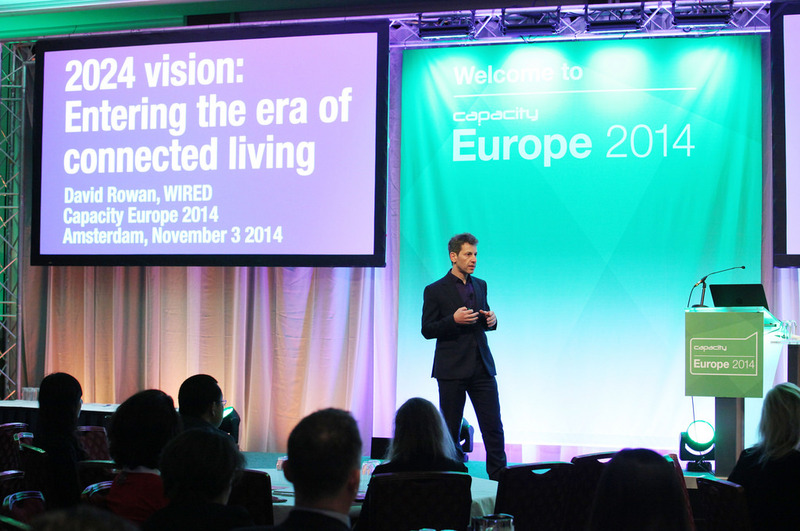 220 delegates from over 34 countries joined the event, meaning a 45% increase from 2014! The attendees benefited from over 10 hours of dedicated networking time to set new partnerships within the regional market. Industry leaders talked about the developments of the regional telecom market and what the new growth prospects in the area are. 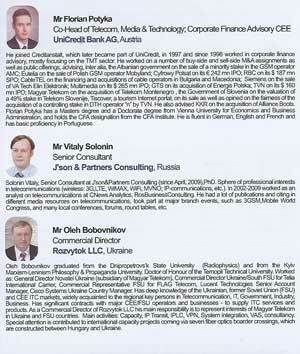 Commercial Director of Rozvytok LLC Oleh Bobovnikov took part in the international conference Bakutel 2014. On 2nd December at Baku Expo Centre the 20th Anniversary Azerbaijan International Telecommunications and Information Technologies Exhibition and Conference, Bakutel 2014, opened its doors. Over the past twenty years this exhibition has become the leading forum in the Caspian region and annually attracts the attention of the global community. The attendance of the President of the Republic of Azerbaijan in recent years highlights the high status of this major specialist event in the field of ICT. The head of the state led the VIP tour of the anniversary exhibition, accompanied by the relevant ministers from Azerbaijan, Sudan, Turkey, Egypt, Iran, Bulgaria and Hungary, as well as many major specialists, leaders and experts in the field of ICT. The event took place in the MÜPA – Palace of Arts. Event was attended by a large number of international telecommunication companies such as: Deutsche Telekom, T-Systems, ICSS, Interoute, Slovak Telekom, Telekom Austria, Novatel Bulgaria, Combridge, Telekom Srbija and many others. 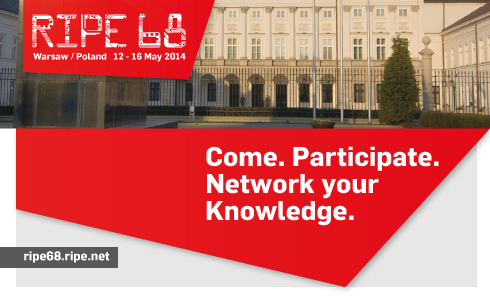 Commercial Director of Rozvytok LLC Oleh Bobovnikov took part in the international conference “Capacity Europe 2014”. 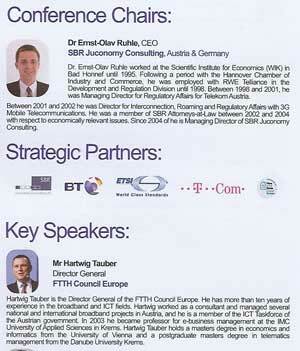 Once again Capacity Europe 2014 united the entire global telecoms marketplace to discuss the evolving industry drivers. This year's agenda was focused on the transformation of the carrier business model. Top priority boardroom agenda topics on cyber security, net-neutrality, mobile broadband developments and emerging markets was take centre-stage during the conference, as global industry experts came together to exchange ideas, outline future trends and create new business opportunities. 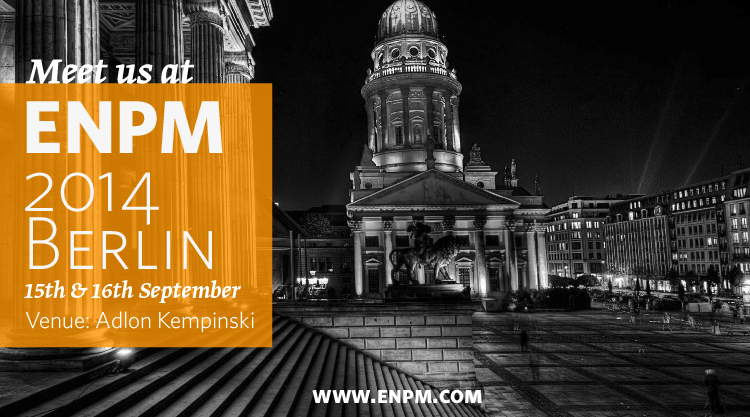 Commercial Director of Rozvytok LLC Oleh Bobovnikov took part in the ENPM 2014 which was held in Berlin. ENPM (European Network Planning Meeting) was established with the intention to support information exchange between network operators in Europe. The aim is to facilitate efficient exchange of information regarding the current and future network resources, discuss interconnection requirements and developments in technology and the whole industry as such. Commercial Director of Rozvytok LLC Oleh Bobovnikov took part in the international conference “RIPE 68” which took place in Warsaw. Commercial Director Oleh Bobovnikov and Technical Director Serhiy Logvinov took part in yearly meeting of Magyar Telekom partners. This event happened on 21 November 2013 in Budapest. The decoration of unforgettable day was the Gala Dinner that accepted the guests in the film studio Origo Film Group. Event was attended by a large number of international telecommunication companies such as: Deutsche Telekom, T-Systems, Interoute, Slovak Telekom, Level3, Vodafone and many others. 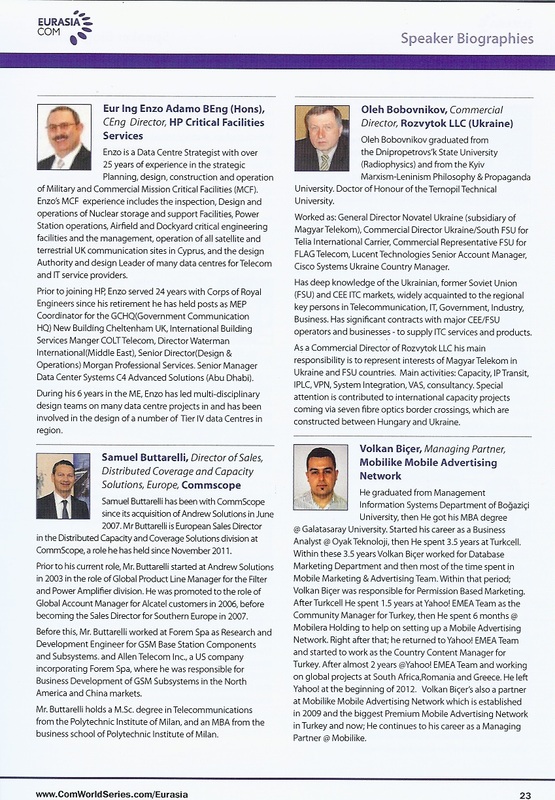 Commercial Director of Rozvytok LLC Oleh Bobovnikov took part in the international conference “Capacity Europe 2013” that happened on 18 – 20 November 2013 in Amsterdam. Capacity Europe is the flagship carrier meeting connecting the European and global wholesale telecoms markets. Now in its 13th year, the event brings together over 900+ executive-level attendees from over 300+ different companies in the global market. Commercial Director of Rozvytok LLC Oleh Bobovnikov took part in the international conference “Capacity Russia 2013” that happened on 7 – 8 October 2013 in Moscow. The events “Capacity Russia” take place every year since 2005. One of the principal topics that was discussed at the forum “Capacity Russia 2013” was the strategies of the telecommunications services providers in Russia and other countries of the CIS, as well as their impact on strengthening the partnership with the international telecommunications services providers. 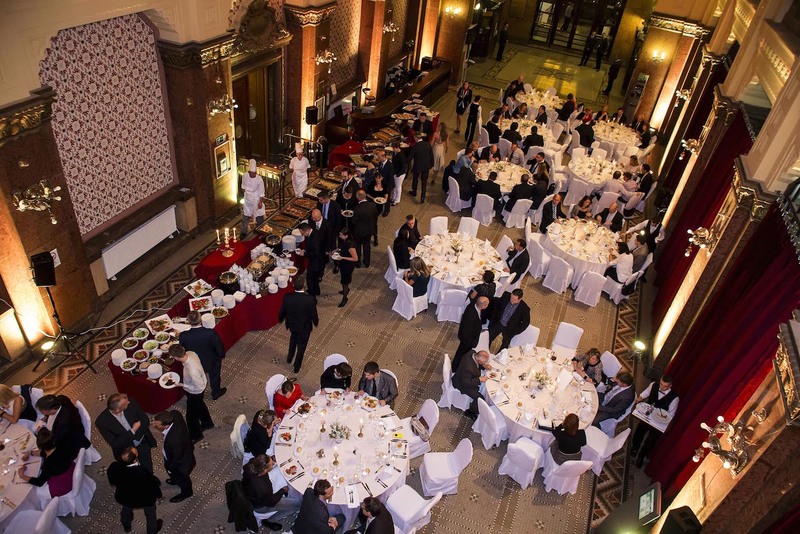 Rozvytok LLC Commercial Director Oleh Bobovnikov participated at yearly workshop organized by the Wholesale Directorate of Magyar Telekom.The decoration of unforgettable day was the Gala Dinner that accepted the guests in the Museum of Fine Arts at Square of Heroues. Workshop was attended by a large number of invited guests from around the world. 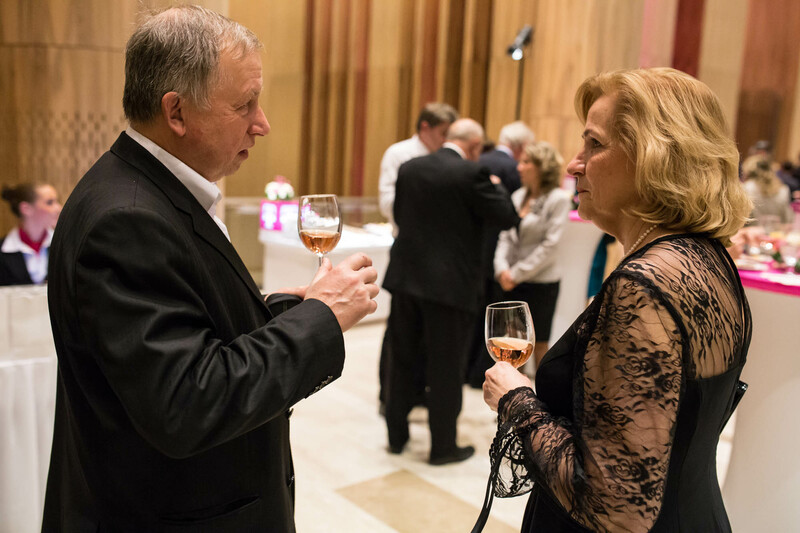 Photos from this event you can find at http://rendezveny.telekom.hu/rendezveny/wholesalegala_gallery.html. 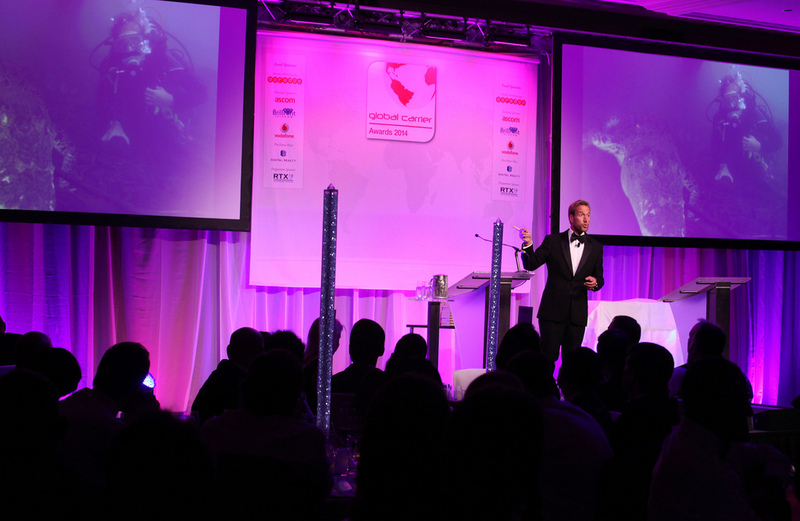 12 – 14.11.2012, was held 12th annual Capacity Europe in Amsterdam. It become the biggest and most successfulness so far. This year in the Capacity Conference took part 805 attendees, 27 sponsors and 44 exhibitors. 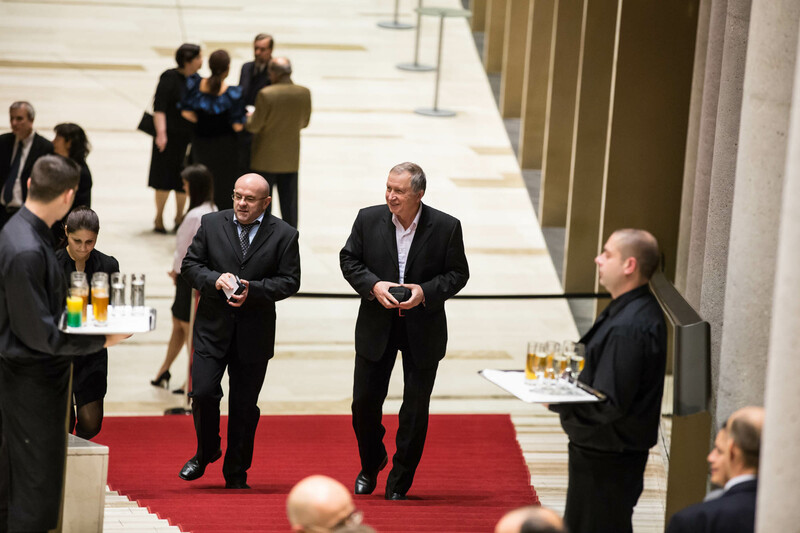 At this event participated Commercial Director Rozvytok LLC Oleh Bobovnikov. During a set of meetings he had there, was preannounced Rozvytok’s migration to the L2E Premium Service which was well accepted by the operator’s community. As a result of the Capacity Europe Rozvytok got few potential business. 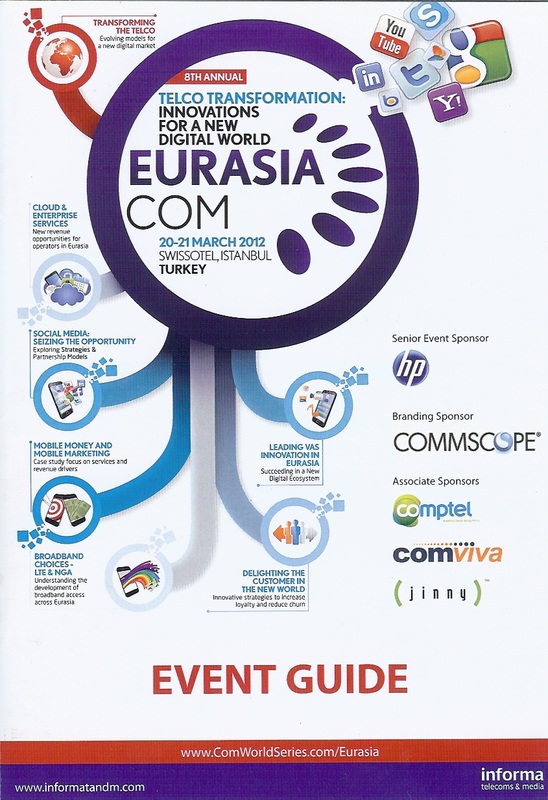 Commercial Director of Rozvytok LLC Oleg Bobovnikov, was invited as a speaker at Eurasia Com 2012, which passed from 20 to 21 March in Istanbul, Turkey. Oleg Dmitrovich made a report, on the subject: "Available and effective services to small and medium enterprises". The program this year fully reflect the the ups and downs that have occurred in the field of telecommunication, media and technology, with new sessions and speakers that represent the whole digital ecosystem. Commercial Director of Rozvytok LLC Oleg Bobovnikov, took part in the Conference ITC 2011, with a report entitled "Opportunities of Rozvytok LLC on the telecommunications market." 1. National Broadband Network and 5th development plan (2011-2016) goals: How to achieve that? 5. Providing content-based VAS in National Broadband Network. 6. Over the past decade, an increasing number of governments have developed or have been updating national broadband plans (NBPs). This has involved the setting of a range of targets, the encouragement of investment by private network operators and the promotion of the wider adoption and use of broadband access by consumers and business. 7. The benefits of NBPs are expected to be extensive across economies and societies. This has required co-ordination amongst many ministries and agencies, in order to identify realistic targets and to ensure that processes are in place to monitor their achievement. 8. Iran’s governments are seeking to promoting investment in high-speed broadband networks and has a plan (approved by Parliament) to expand Broadband network as National Information Network to 60% of households and all businesses by 2016. 9. This has required governments to develop a range of new programs and interventions, to complement the economic measures for infrastructure provision. So at the first step, ICT ministry is going to award a license to a new national FTTx Operator as a rival for TCI (incumbent) with capacity of 10 million FTTH connections by 2016. 11. 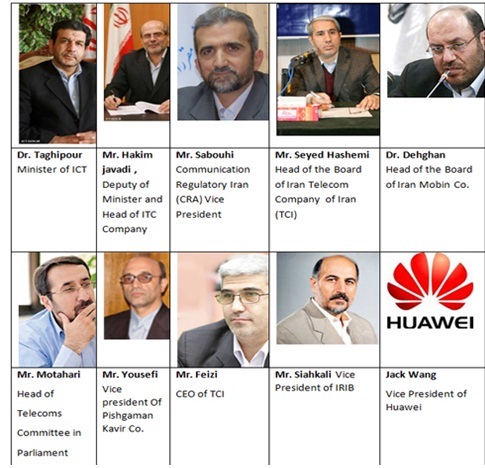 Also regarding to the importance of International co-ordination between the broadband activities in different levels of government’s officials to ensure appropriate targets, policies and plans, we have invited high-level officials not only from Iran but also from some countries like Russia, China, Malaysia and Turkey to maximize benefits of the conference for attendees. Commercial Director of Rozvytok LLC Mr. Oleg Bobovnikov was invited as a speaker at the eighth annual European Investment Forum of Telecommunications that took place 27-28 January 2011 in Vienna, Austria. Topic of presentation: Research of situation: Development in Ukraine. The Forum brought together government officials, operators of local, regional and international fixed and mobile networks , cable companies, software vendors and telecommunication equipment, legal and financial advisors, consultants, project management and banks investment from all over Europe. 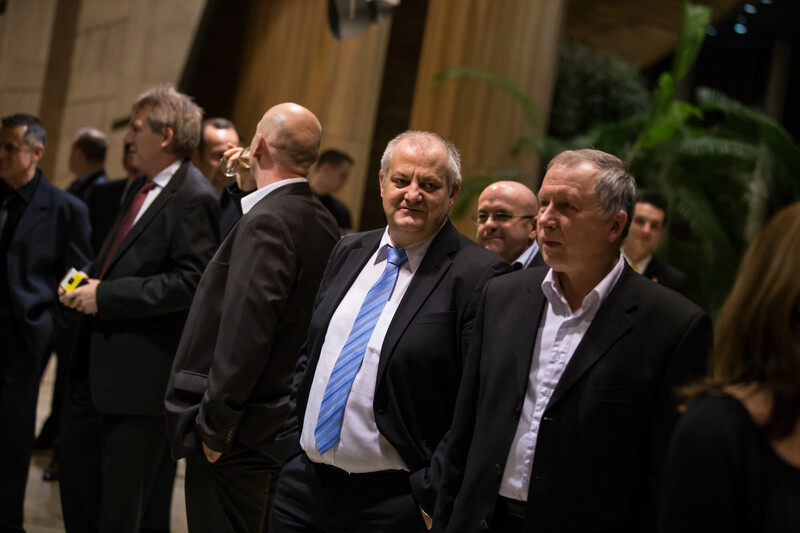 The meeting was held in a comfortable hotel "Danube" in Vienna, events contributed to the debate around the future FTTx connectivity, mergers and acquisitions in the telecommunications sector in Central and South- Eastern Europe ( CSEE ). In the center of attention were detailed review of the market and its trends, future network development of digital technologies, investment opportunities, and regulatory constraints, solution -based technologies of new generation capacity CSEE, future growth sectors and regional analysis of Austria, Hungary, Slovakia, Czech Republic, Poland and Ukraine. Mr. Dejan Lyustina (Deloitte), Mr. Hartwig Tauber (FTTH Council Europe), Mr. Adrian Whitcherch (BT Group), Mr. Yaap Truyens (EuroFiber) and Mr. Paul Hulas (Slovak Telecom) were participated in discussions about the future FTTx connectivity , the importance and the need to create software and network systems to improve. "Improving the business climate and harmonizing legislation in line with EU directives Turkey and South- Eastern Europe (SEE ) develop attractive unique selling proposition for investors. Low fixed costs, government incentives and the availability of capital continue to promote regional development. Join us in Turkey, the goal for investors wishing to enter the market SEE . Ministers SEE countries have identified key legislative changes and incentives for investment. The conference focused on issues of regulation and financing , the primacy of governments , banks and private equity firms in creating a favorable climate for investment. Raising funds , finance acquisitions and the creation of new values - the focus of this event. Our research focused on understanding the mechanisms of sustained financial investment. SEEInvest 2011 - a new forum for industry professionals . The unique geographical , political and cultural position of Turkey contributed to her interest in the whole world. SEEInvest 2011 opens the gate to the SEE countries and the Middle East.